The younger of the twin Master Cloud Lightnings had no time to even feel the terror of impending destruction. His body was simply destroyed by the massive, explosive attack! His nascent divinity flew out into the open, eyes blank as he stared around at the devastation. It was in that moment that a stream of divine sense appeared that far surpassed devas. It descended in the form of a huge hand that grabbed the nascent divinity. As the explosive force of Bai Xiaochun’s attack was dissipated by that enormous hand, a grating voice echoed out from nowhere. “Bai. Xiao. CHUN!! !” Each of the characters that made up his name was uttered in a voice that crackled like heavenly thunder. The words exploded into the minds of everyone present as a gigantic figure appeared up above. It was the demigod patriarch, who held the listless and dispirited Lightning Ancestor in his hand. The demigod drove away the will of the heavens in the area, ensuring that he was the only paramount entity in all creation! When Bai Xiaochun heard his words, and felt the pressure weighing down on the area, his previous brazenness and momentum vanished, to be replaced with profound nervousness. As Bai Xiaochun hovered there nervously, Master Cloud Lightning double checked that his other self’s nascent divinity was safe, and then clasped hands and bowed deeply to the demigod patriarch. The other northern devas all breathed sighs of relief. Bai Xiaochun really had been putting on too dramatic of a display of strength, leaving them completely shaken. As they clasped hands in greeting, the bedraggled Feng Chen emerged from the crystal coffin to also excitedly offer greetings. Scowling on the verge of tears, Bai Xiaochun began to edge backward, scrambling to come up with a way to resolve the situation. Meanwhile, the demigod patriarch, while unable to suppress his rage, was also feeling a major headache coming on. The truth was that he was relatively helpless in this situation. There was basically nothing he could do about Bai Xiaochun, not because of Du Lingfei, but because of the Celestial! There was evidence that the demigod could detect on Bai Xiaochun that Bai Xiaochun himself could not. Based on the conclusions that evidence pointed to, and on certain other matters that the demigod patriarch was aware of, he had an inkling that the Celestial had something important planned for him. Because of those speculations, he knew that he couldn’t do anything too harmful to Bai Xiaochun. Furthermore, he now knew that locking him up wouldn't do any good. After all, he had already destroyed Lightning Penitentiary, and very nearly freed the Lightning Ancestor. The patriarch didn’t dare to incarcerate him, and had finally woken up to the truth of matters. At long last, he realized that Bai Xiaochun could cause disasters without any warning. Therefore, the best thing to do was keep him at a distance…. “Dammit. How did I ever agree to keep this damned disaster confined in the sect!? He’s like an unstable lightning bolt just sitting in your pocket, ready to explode without warning!” In the end, he sighed. Never before in his life had he ever met anyone who could be as frustrating as Bai Xiaochun. Despite Bai Xiaochun’s nervousness, he had to marvel at his own quick-wittedness. After all, his one simple sentence actually emphasized three important matters. First, that he had an intimate relationship with Du Lingfei… and that they would likely marry in the future. Second, that the Celestial would become his father-in-law…. Third, that he hoped to calm the situation down…. It didn’t matter whether the demigod would actually pick up on all three. As far as Bai Xiaochun was concerned, it was really an amazing play on his part. In response to his words, the demigod patriarch slowly looked up and fixed his gaze dead on Bai Xiaochun. Waving his hand, he spoke in a very irritated voice. “If I ever see you in the Nine Heavens Cloud Lightning Sect again, then it won’t matter if you’re the Celestial’s son-in-law. I’ll skin you alive! Now screw off!” His words exploded like thunder, especially the last two. Heaven and earth shook violently as a massive force wrapped Bai Xiaochun up, ripped him up into the air, and then hurled him out of the Nine Heavens Cloud Lightning Sect. A miserable shrieked echoed out as he flew through the air off into the distance…. The northern cultivators were a bit let down, but at the same time, were all breathing sighs of relief. They hated Bai Xiaochun, and yet feared him, Master Cloud Lightning included. In addition to the bitterness that most of them felt, the majority regretted that any limitations or torments had been placed on Bai Xiaochun, he who should never, ever, ever, ever, ever be limited or tormented. “He is truly the epitome of a walking disaster. His most powerful divine ability is his ability to cause disasters! We were real fools back at the beginning…. A guy like that should never be allowed to stay inside the sect!” Master Cloud Lightning chuckled bitterly and sighed endlessly, but at the same time, was profoundly shaken by Bai Xiaochun’s battle prowess. Furthermore, when it came to the Cloud Lightning Forefather technique, the fact that the demigod patriarch had the Lightning Ancestor in his custody suddenly caused Master Cloud Lightning to realize what had happened. Although the Lightning Ancestor was in bad shape, he wasn’t unconscious, and the twisted smile on his face revealed the truth. Clearly, he was very pleased at all of the chaos which had been caused in the sect. “So, that kid’s name is Bai Xiaochun?” the Lightning Ancestor said. “Not bad. Not bad at all. He’s definitely going to go places in this world!” He chuckled loudly. The demigod patriarch ignored the Lightning Ancestor, and instead turned toward the devas. “You, a group of powerful, majestic devas, all joined forces against Bai Xiaochun, and ended up in this miserable state. Useless fools!” After cursing the devas a bit more, he turned grimly and dragged the Lightning Ancestor with him back to his crystal coffin. The devas accepted the criticism in bitter silence. Afterward, they exchanged awkward, helpless glances. “I don't ever want to see him again as long as I live!! And you know what, the rest of you had best never even mention his name around me!!" The devas weren’t the only ones to react like that. The disciples from the Cloud Order and Lightning Order were all sighing deeply, and thinking back to how they never should have tried to keep Bai Xiaochun suppressed. Back then, they had chuckled proudly at how the supposed dragon that was Bai Xiaochun had become nothing more than a worm after arriving in the north. But now… Bai Xiaochun had used his actions to deliver a message loud and clear to the northerners. Maybe he was a worm… but he could still poke the north full of holes. In the end, everyone was basically thinking the same thing…. As the northerners were sighing in exhaustion because of Bai Xiaochun, he was flying through the air off into the distance, almost like a meteor. Eventually, he landed, smashing into the icy plain far away from the sect. The ice shivered, and his landing made a huge crater, which he eventually crawled out of, his hair disheveled, his robes in tatters. Scowling in indignation, he turned to look back in the direction of the Nine Heavens Cloud Lightning Sect. Finally, he sighed. “If you wanted me to leave, you could have just said so. 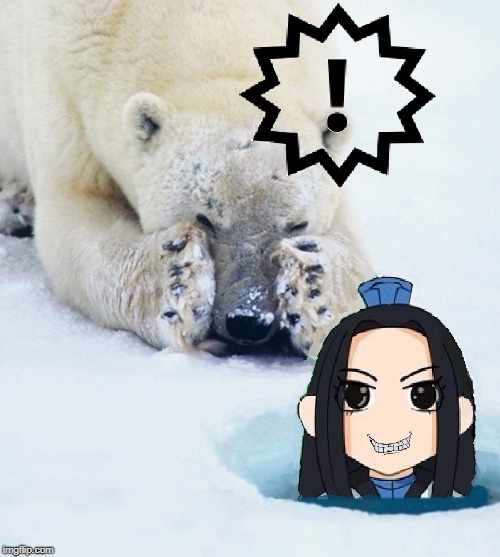 Why the hell did you have to seal my cultivation base and throw me through the air…?” From what he could tell, these northerners were all completely unreasonable, and scoundrels through and through. They were essentially villains, especially the demigod patriarch. He was the worst of all. “Ah, whatever. If they don't want me there, then that’s fine. Besides, if they hadn’t restricted me in the first place, I would have left a long time ago.” Sighing again, he reviewed everything he had accomplished in the Nine Heavens Cloud Lightning Sect, and actually felt quite proud of himself. “Hmmmphh! They sure know how awesome I am now, don’t they?! How dare they limit Bai Xiaochun with a five-point covenant!” He took a deep breath of icy air, feeling very excited to, at long last, be free of any restrictions. It was a wonderfully relaxing feeling. “Well, nobody’s here to tell me what to do. I guess I can plant my moonflower again, right?” After all, the ice leaf he was working on was only about half-finished. After looking around, he found a nice place to hew out a temporary immortal's cave. He spent a few minutes organizing it a bit, then took out his moonflower seed and then dug a hole in the ground. “Moonflower, baby, nobody’s here to tell us what to do now. Hurry up and grow as fast as you can!” Face glowing with anticipation, he dropped the moonflower seed into the hole.